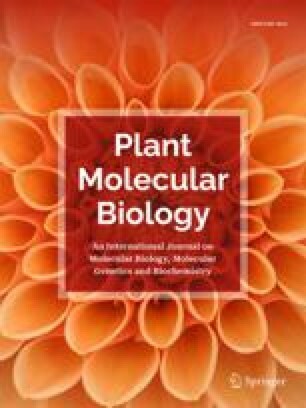 During the sequencing of the genome of Arabidopsis thaliana a gene has been identified that encodes a novel NADPH-protochlorophyllide oxidoreductase (POR)-like protein (accession number AC 002560). This protein has been named POR C. We have expressed the POR C protein in Escherichia coli and have determined its in vitro activity. POR C shows the characteristics of a light-dependent and NADPH-requiring POR similar to POR A and POR B. The expression of the POR C gene differs markedly from that of the POR A and POR B genes. In contrast to the POR A and POR B mRNAs, the POR C mRNA has been shown previously to accumulate only after the beginning of illumination. In light-adapted mature plants only POR B and POR C mRNAs were detectable. The amounts of both mRNAs show pronounced diurnal rhythmic fluctuations. While the oscillations of POR B mRNA are under the control of the circadian clock, those of POR C mRNA are not. Another difference between POR B and POR C was found in seedlings that were grown under continuous white light. The concentration of POR C mRNA rapidly declined and soon dropped beyond the limit of detection, after these seedlings were transferred to the dark. On the other hand, POR B mRNA was unaffected by this light/dark shift. When seedlings were exposed to different light intensities, the amounts of POR B mRNA remained the same, while POR A and POR C mRNAs were modulated in an inverse way by these light intensity changes. POR A mRNA was still detectable in seedlings grown under low light intensities but disappeared at higher light intensities, while the mRNA concentration of POR C rose with increasing light intensities. These different responses to light suggest that the functions of the three PORs of Arabidopsis are not completely redundant, but may allow the plant to adapt its needs for chlorophyll biosynthesis more selectively by using preferentially one of the three enzymes under a given light regime.